This college admits approximately 48 students in January and August of every year. It also offers a career ladder program for existing LPNs to begin the program with a transition course. Tuition fees for the program are $8,550, although there are numerous grants and scholarships available for students who need financial assistance. Oklahoma State’s ADN program is a 72-credit-hour course of study that includes supervised clinical experience at affiliated health agencies. Students must also fulfill a computer literacy requirement before graduating from the program. This community college offers three pathways to an ADN: traditional, career ladder, and baccalaureate-to-ADN. The school also has a unique class schedule: students admitted in the fall semester follow a daytime schedule for theory classes, while spring admits follow an evening schedule. Upon graduation, students can seek employment with major local healthcare providers like BrightStar Care and Oklahoma Surgical Hospital. 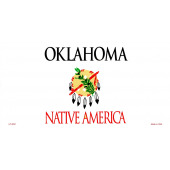 To provide a complete picture, we’ve listed below all of the ADN programs in Oklahoma. You’ll find them organized by major metropolitan area.